Lavery is pleased to welcome Frédéric Laflamme to its litigation group, where he will practise in a number of areas related to civil and commercial litigation. 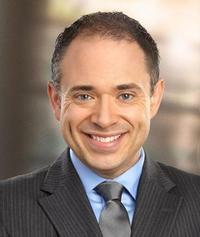 After starting out at a national law firm and completing graduate studies in journalism at a French university, Frédéric was a host for ICI Radio-Canada Première for a decade, most notably in Mauricie and Centre-du-Québec; he also took part in numerous national shows. “We are glad that Frederic will add a new chapter to his career by joining the Lavery team. This is an exciting professional challenge that will allow him to put his skills as a litigator to good use for the firm’s clients,” added Jean Boulet, partner and manager of the Lavery Trois-Rivières office.